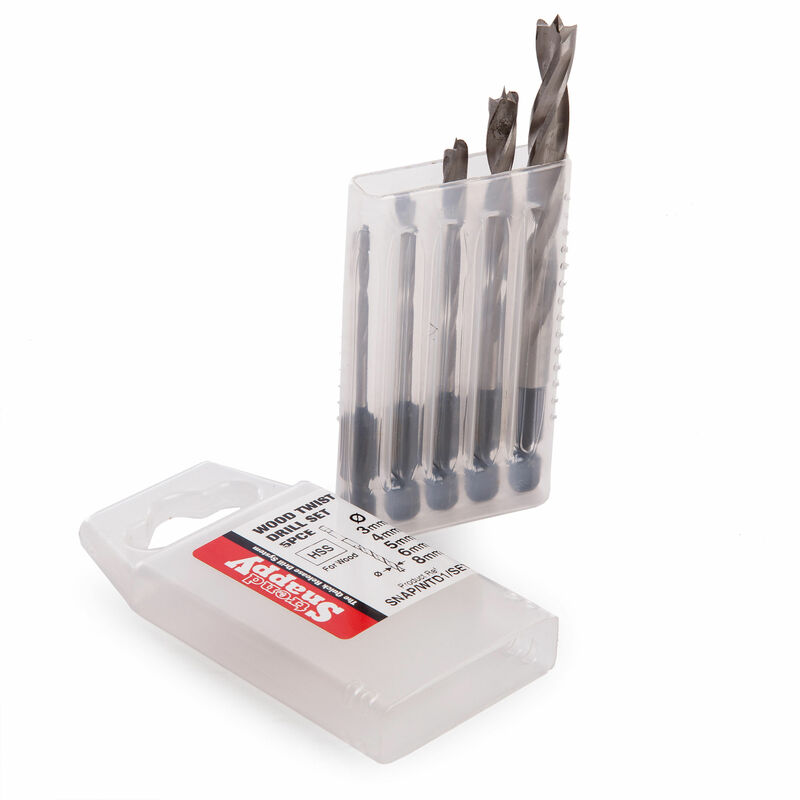 The Trend SNAP/MTD1/SET is a premium quality High Speed Steel hex shank drill bit set for drilling wood. 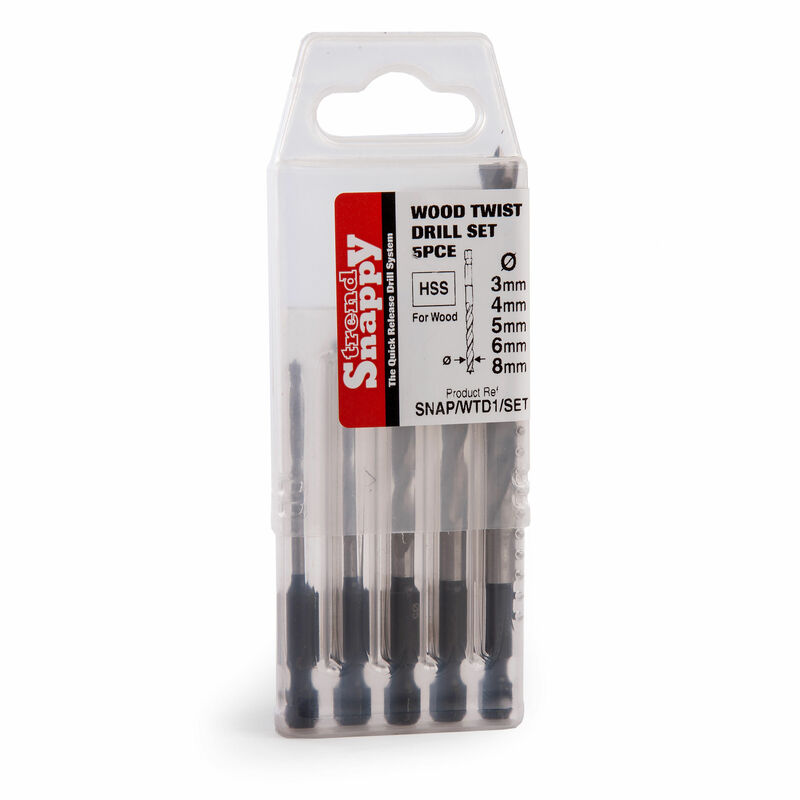 Lip and spur (Brad point) for clean entrance holes in wood for dowels. 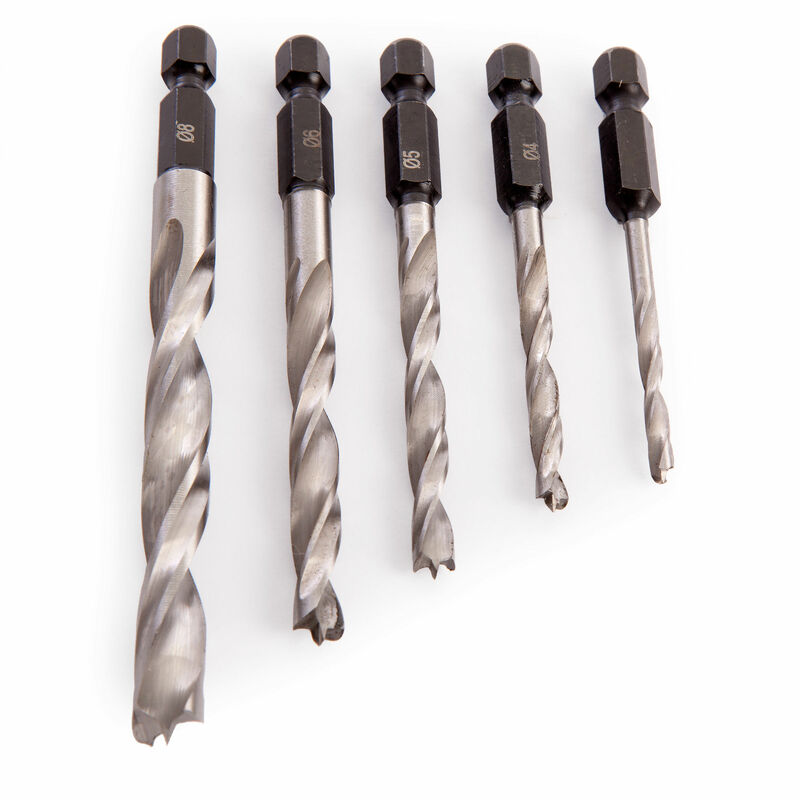 Five premium quality HSS twist drill bits with diameters 3, 4, 5, 6 and 8mm. Specially ground flute for fast, clean, straight and true drilling. Two optmised cutting spurs and centre point.